Running a business and being your own boss is a dream that many people have, but few actually pull the trigger on. Sure, running a business is a great way to do what you want to in life, and be in control of your own life. However, with many businesses failing within their first few years, becoming an entrepreneur is a risky investment, but can certainly pay off as well. One of the most important parts about running a successful business in any industry is ensuring it is scalable. If a business cannot support the growth of your customer base or a growing amount of work, they will struggle. In particular, this article is going to look at SaaS (software-as-a-service) businesses and some of the top tools that can help those businesses scale successfully. When your service gets more users, it puts a much larger workload on your systems. If you don’t prepare for the increase, the number of users could lead your systems to experience lag, shutdowns or other issues. So instead of just hoping for the best, or expecting that your systems will handle it, you should be sure to use a tool to monitor its performance. These tools can monitor and visualize any bottlenecks that may arise and will allow you to easily troubleshoot and fix them. Without a tool tracking your performance, simply finding the issue could take hours and could leave users unhappy with the performance of your service. 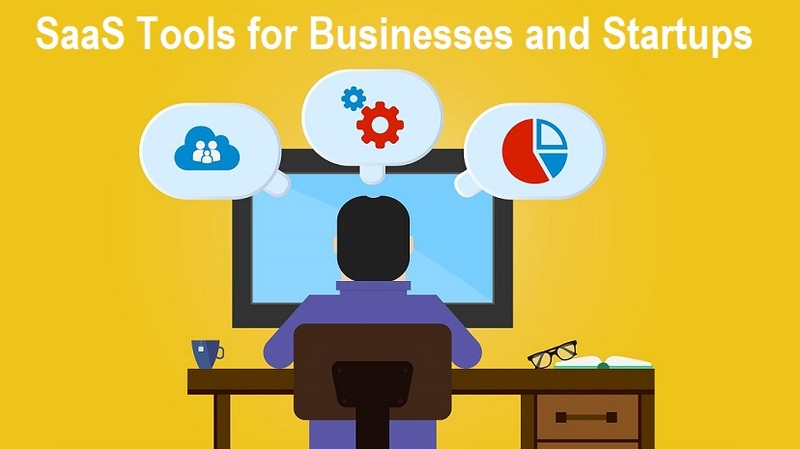 Many of these tools can also offer metrics and analysis, which can help you gather insights on trends and make important business decisions. If you are interested in learning more about these performance management solutions, and how they can help your business, be sure to check out this source: application performance management & server monitoring by AppOptics. When your company scales, you will have more customers and managing relationships with the said customers is very important to turn them into return customers or ensure they will speak well of your company. In order to effectively manage these customers and relationships, your SaaS business should use customer relationship management (CRM) tool. CRM uses data and customer history to foster a relationship in hopes of creating return customers and growing sales. They can also be beneficial for tracking leads and helping keep everything managed and organized when you are experiencing an increase in demand. Many of these can also target new and existing users with messages or push notifications, and could potentially even send them customized offers, discounts or more in order to improve the provider/customer relationship. They are invaluable tools and many are definitely affordable enough for different sizes of companies to use. In addition to scaling quickly being tough for your systems, it can also be tough for the employees at your Saas business. Keeping everyone on the same page (especially while scaling) and maintaining control of operations is very important. You need your employees to be productive, to know what they are responsible for doing and know how to do it. For example, some tools can make scheduling employees more streamlined, some can help track employee productivity over time and others can ensure your payroll or inventory are handled efficiently. These all serve the purpose of easing the burden for businesses, which is a breath of fresh air during the time when your company is scaling. In conclusion, hopefully, this article can help you find some helpful tools to assist in the scaling of your SaaS business and ensure you continue to succeed.